The life of the tenant may seem unglamorous and full of complications because it seems that you don’t have total freedom as you think you have when you own, but, what others don’t know is that many times this lifestyle is enough flexible enough to allow you to be well and without any problem; as long as you do things right. Pay your rent on time : This seems to be the most obvious advice but you might be surprised how many people leave this in the background causing tensions with the owners. Be aware of the payment of your rent so that there is no discomfort that could become a bigger problem. Cultivate good communication with everyone : It is vital to be cordial both with the owners and with the possible neighbors that you may have because these will be the people with whom you will live the most in the time you are there. It is not about being nice all the time, it is simply looking for a pleasant and transparent relationship with those around you. Carefully read everything in writing : This is vital to understand what are the legal implications that involve your rent and as you know, you must be satisfied with what is stipulated to live quietly there. Carefully read any contracts or rules that the owners have before signing always demanding a copy for you . Take care of the property as if it were yours : Perhaps this is what owners most want because obviously any damage suffered by the real estate will have to be paid with money that nobody wants to spend at the beginning (although there must be a budget for minor repairs). Keep the place where you live in the best possible state, to such an extent that it seems to be your own home. 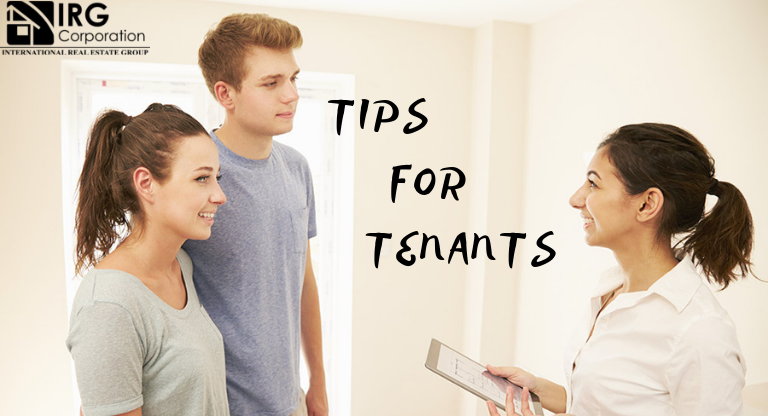 If you are the type of tenant that always meets the specifications and has never had a major problem with owners or neighbors this can simply serve to reinforce your way of being and once and for all become that tenant that any owner would like to have on your property for a long time . “I never dreamed of success, I worked to achieve it” .